Are Payday Loans Dischargeable in a Chapter 7? Payday loans are generally dischargeable without any arguments in a Chapter 7 Bankruptcy, because these loans are unsecured debts. There are, however, a few special cases. If you borrowed money within 90 days prior to filing bankruptcy, there is a presumption of bankruptcy fraud. Simply stated, the law presumes that you never intended to repay the money and that you used your bankruptcy filing as a sword instead of a shield. In such a situation, the payday lender may file an objection to discharge and a motion to remove the stay. Many bankruptcy judges do not like payday lenders, believing that these lenders charge usurious rates and take advantage of consumers. Whether that perception is true or false is not the point. Because of this attitude, some judges may require the payday lender to prove fraudulent intent. Intent is particularly hard to prove if the actual loan was originally taken out more than 90 days prior to filing, and the consumer had to keep renewing the loan. Some payday lenders may require you to surrender a postdated check. After you file, they may attempt to cash the check, arguing that they deposited the instrument in the normal course of business. But the automatic stay prohibits creditors from taking any action against you, and the payday lender is clearly a “creditor” at that point. Many people place title loans and payday loans in the same category. For non-bankruptcy purposes, this classification may be appropriate. But, by accepting cash and putting up your car title as security for repayment, the vehicle title loan is a secured debt. The debt itself may be dischargeable, but the lender’s lien on your car title is still valid. One option is a cram-down. If you borrowed $3000 but your car is only worth $1000, you may be able to pay the $1000 and keep your car. Another option is a conversion to a Chapter 13 bankruptcy, when the automatic stay stays in effect much longer, giving you time to pay off the loan. 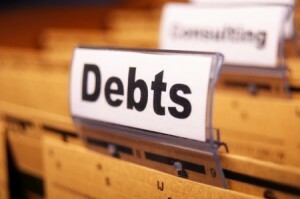 To find relief from your creditors, contact us in Melbourne, Florida for your free consultation. This entry was posted in Bankruptcy, Chapter 7 and tagged bankruptcy, Chapter 7, Chapter 7 Bankruptcy, Cocoa Beach, Consumer Lending, debt, Faro & Crowder, Florida, payday loan on March 23, 2014 by Michael Faro. The Middle District of Florida recently ruled that the automatic stay is a blanket protection that applies to multiple creditor claims, even if there is not a perfect symmetry of parties. In Peterson et al v. Avantair et al, Avaintair informed its employees that it could not make payroll almost simultaneously with its bankruptcy filing. Mr. Peterson, along with some other employees, personally sued Avantair’s corporate officers and senior managers for breach of contract, failure to pay minimum wage and several other causes of action. The defendants argued that the case should be stayed as to the individual defendants while it was stayed as to Avantair under Section 362 of the Bankruptcy code, , while the plaintiffs stated that their case should be allowed to proceed, as the defendants had not technically filed bankruptcy. The court was convinced that, although there may have been some minor differences, the essentials of the case against the defendants and Avantair’s bankruptcy were substantially similar. The evidence would have been the same and the legal arguments for each side would have been much the same as well. The district court issued an order staying the case. Bringing a business through bankruptcy is complex, and requires an attorney who understands the interplay of the business’s liabilities and the liabilities of its officers, directors, and owners. We have experience representing small businesses and their owners through the bankruptcy process. Contact our office in Melbourne, Florida for a free consultation with attorneys who are there to protect you. This entry was posted in Bankruptcy, Debt and tagged automatic stay, bankruptcy, Cocoa Beach, debt, Faro & Crowder, Florida, Section 362 on March 15, 2014 by Michael Faro. 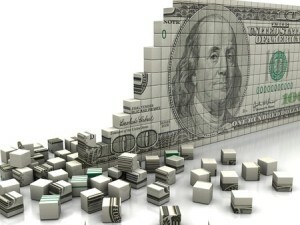 Can Bankruptcy Help You Get a Loan Modification? Distressed homeowners in the Northern District of Florida now have an additional option to try and keep their home. 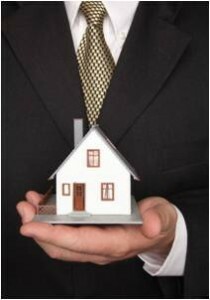 The court’s Mortgage Modification Mediation service allows homeowners, and lenders, access to experienced Chapter 13 mediators at a reduced cost. Although the parties are not required to reach an agreement, courts are generally much more inclined to enforce agreements between the parties as opposed to imposing their will in a given situation. The plan is designed to streamline the process, reduce time and, above all, get the parties talking. The normal loan modification process can be frustrating, to say the least. By most accounts, at least 80% of eligible homeowners are denied mortgage modifications by their lenders. Although there are no hard numbers, and no guarantee of success, these statistics are often reversed in mediation. Dialogue: Only about a third of at-risk borrowers are even in regular contact with their lenders. Although an open dialogue is no guarantee of success, a nonexistent dialogue is a guarantee of failure. You don’t get anything unless you ask. Good faith negotiation: The largest single reason for denial is failure to timely submit all required documents. While a bank may very well deny a loan modification because one form was one day late, such a stance is not a “good faith” denial under the law. The rule of thumb is that if the bank cannot issue a denial based on anything other than a technicality, there is no good-faith basis for the denial. 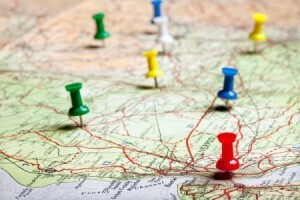 Mediation may be available in other cases and in other districts. 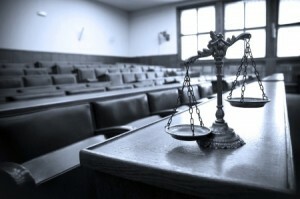 Speak with your attorney about some ways that bankruptcy can save your home. This entry was posted in Bankruptcy, Investment Real Estate and tagged bankruptcy, Chapter 13, Chapter 13 Bankruptcy, Chapter 13 plan, Cocoa Beach, debt, Faro & Crowder, Florida, mortgage mediation on March 13, 2014 by Michael Faro. 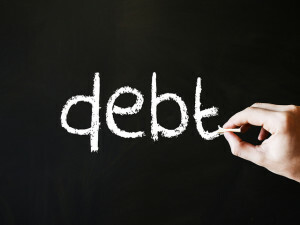 In a boon for debtors, a federal court recently interpreted Section 523(a)(6) very narrowly. In Communitywide Federal Credit Union v. Laughlin, Mr. Laughlin purchased a new car, with an $18,000 loan from CFCU. Ms. Laughlin was awarded the car in their divorce. A short time thereafter, Ms. Laughlin returned the car to Mr. Laughlin, asserting that she had paid off the note. The car was in very poor condition. Mr. Laughlin had the car repaired, and then sold it to a local dealership, unaware that the CFCU lien had not been paid off or otherwise extinguished. CFCU sued Mr. Laughlin and obtained a default judgment against him. When the credit union garnished his wages, Mr. Laughlin filed Chapter 7 Bankruptcy. When CFCU filed an adversary proceeding, the trial judge held that the underlying debt was dischargeable, since Mr. Laughlin did not act in bad faith. While Mr. Laughlin definitely impeded the value of the property by selling it, it did not appear, based on the record, that he had any malicious intent towards the creditor. Although this decision is not binding in Florida, it is instructive that a court should not draw its own conclusions based on the evidence, but rather base its findings on the evidence itself. Malicious intent is very difficult to prove, so there is a good chance that you may receive your fresh start even if the circumstances are less than 100% in your favor. For a free consultation with bankruptcy attorneys who fight for you, contact our office in Melbourne, Florida. This entry was posted in Bankruptcy and tagged bankruptcy, Chapter 13, Chapter 13 Bankruptcy, Chapter 7, Chapter 7 Bankruptcy, Cocoa Beach, Code Section 523(a)(6), debt, Faro & Crowder, Florida on March 11, 2014 by Michael Faro. A group of former NFL players recently filed a lawsuit against the league, claiming that it exposed them to probable brain damage.National Football League players aren’t the only footballers who struggle with life after retirement. According to a charity set up for former English League soccer players, 33% of players are divorced within one year of retirement, 40% file bankruptcy within five years, and 80% ultimately suffer from osteoarthritis. While the average salary in the Premier league is about 23,000 £ (38,000 USD) per week, that salary drops to 5,000 £ (8,000 USD) per week in the Champions league. Divorce: One of the most common marital stress factors is money, so it is little wonder that couples who are in divorce court sooner or later wind up in bankruptcy court. After divorce, the two new families must often try to survive on drastically reduced incomes, which makes these problems even worse. Medical bills: Even if you have insurance, the cost of long-term rehabilitative care is staggering, to say the least. Medical bills can eat away your savings almost before you know what’s happening. While bankruptcy cannot eliminate child-support payments and alimony, bankruptcy can eliminate many of your other unsecured debts to free up your limited cash for other obligations. Bankruptcy can eliminate medical bills, in most cases, giving you the financial fresh start that you need so desperately. 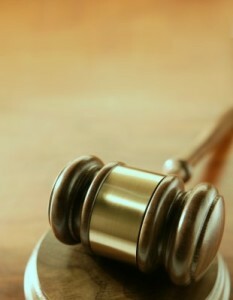 Contact us for your free bankruptcy consultation. This entry was posted in Bankruptcy and tagged bankruptcy, Bankruptcy causes, Chapter 7, Chapter 7 Bankruptcy, Cocoa Beach, Consumer Lending, Faro & Crowder, Florida on March 9, 2014 by Michael Faro. 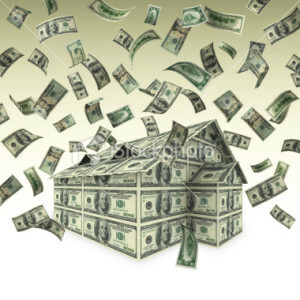 Household debt rose $241 billion in the third quarter of 2013. Analysts at the New York Fed say the 2.1 percent increase was the largest jump since 2007. The debt was primarily mortgage debt and new car loans, which is seen as a sign that consumers are gaining confidence in an improving economy. However, student-loan debt rose 5.3 percent, which was the largest single percentage increase. Some experts say that increasing student-loan debt, which just topped $1 trillion overall, is creating a drag on disposable income that is delaying the formation of new households: recent graduates are moving back home and young families are renting instead of buying. Despite the fact that wages and job growth are both static, the borrowing trend is expected to continue. 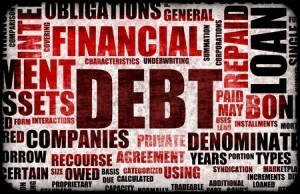 Many types of debt are dischargeable under a bankruptcy. It’s important to remember that bankruptcy may eliminate the obligation to repay the debt, but does not affect any other aspect of the agreement. A good example is past-due college tuition: bankruptcy may mean that you no longer owe the money; however, your school may continue to withhold your transcript or enforce other penalties. Unsecured debt: Credit cards, payday loans, medical bills and other such obligations are generally dischargeable immediately in a Chapter 7 and after the expiration of three or five years in a Chapter 13. 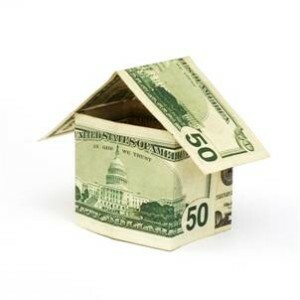 Secured debt: Secured debts are a home mortgage, car note and so on. The underlying debt may be wiped out, but you still have an obligation to pay the note if you want to keep the secured item. Priority debt: Unsecured debt that is related to federal or state taxes, child support, attorneys’ fees, student loans and a few other categories. Priority debts get repaid in full before other unsecured debts get paid at all, which is a good thing because many priority debts are also non-dischargeable. For a free consultation with attorneys who understand how the process works in Central Florida, contact our office. This entry was posted in Bankruptcy, Chapter 11, Chapter 13, Chapter 7, Debt and tagged bankruptcy, Chapter 13 Bankruptcy, Chapter 7 Bankruptcy, Cocoa Beach, debt, Faro & Crowder, Florida on March 1, 2014 by Michael Faro. The Chapter 13 plan essentially puts you on an allowance for a period of time, to help you catch up on your bills, start rebuilding your credit score and get on with your life free of creditor harassment. Just like your petition was voluntary, you also have the first chance to put together a Chapter 13 plan. Depending on your income, the plan period may be either three or five years; generally speaking, a higher income means a longer plan, because the law assumes that you have more ability to pay back your debts. At a minimum, the plan must account for current payments on secured debts, the total arrearage on secured debts and the trustee’s fee. Bear in mind that the “total arrearage” is not necessarily the amount the moneylender demands that you pay. The plan must also be feasible. If you are behind on your mortgage, you must demonstrate the ability to pay off the entire amount within the plan period. It is possible to go back and modify the plan later, should your income or expenses change significantly. Creditors are prohibited from contacting you for the entire time that your bankruptcy is pending. As a practical matter, moneylenders often communicate to your attorney, who then forwards the information to you. While cumbersome, this process gives your attorney the opportunity to negotiate with moneylenders right from the start. It also gives you the freedom to check your mail without that sinking feeling that there will be more bills in the box than you can possibly pay. 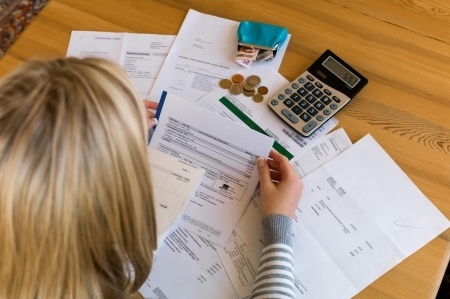 A bankruptcy plan is a fairly complicated document that can put you back on the right path. To take the first step towards financial freedom, contact our office located in Melbourne, Florida. This entry was posted in Bankruptcy, Chapter 13, Debt and tagged bankruptcy, Chapter 13 Bankruptcy, Chapter 13 plan, Cocoa Beach, Faro & Crowder, Florida, roadmap on February 20, 2014 by Michael Faro.